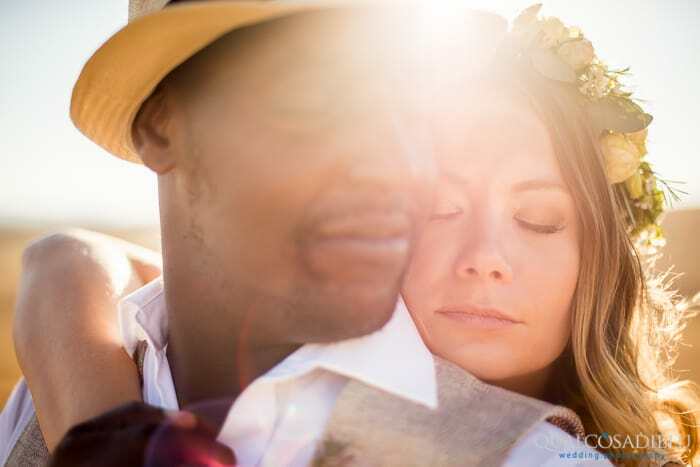 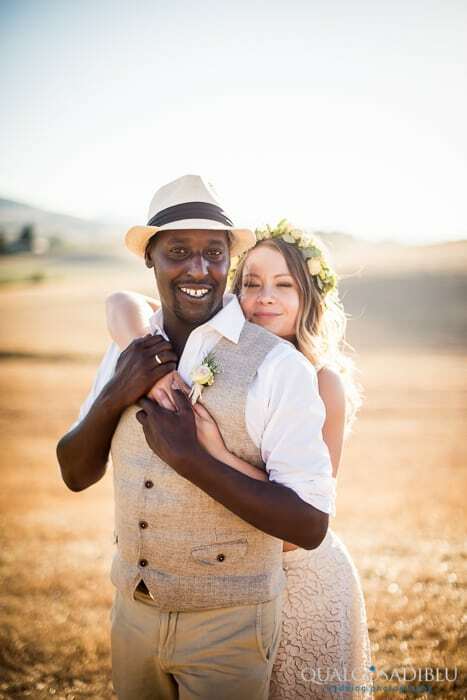 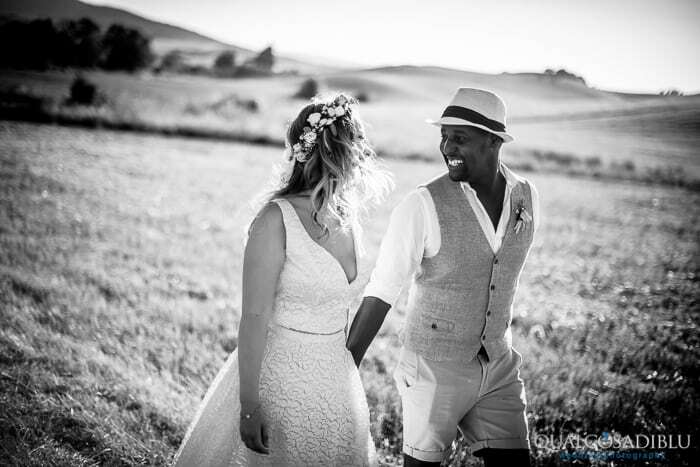 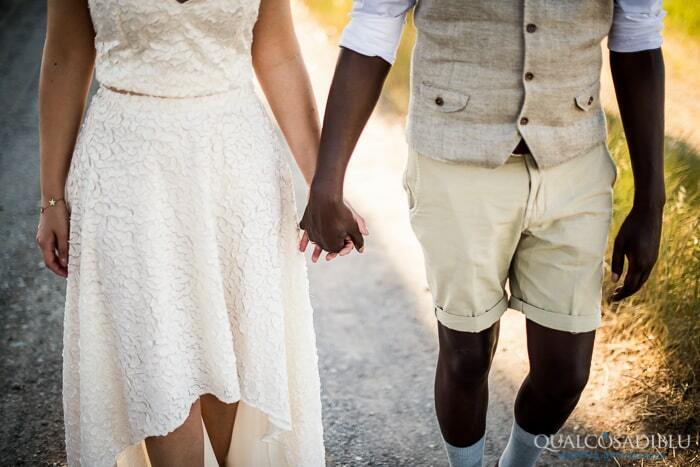 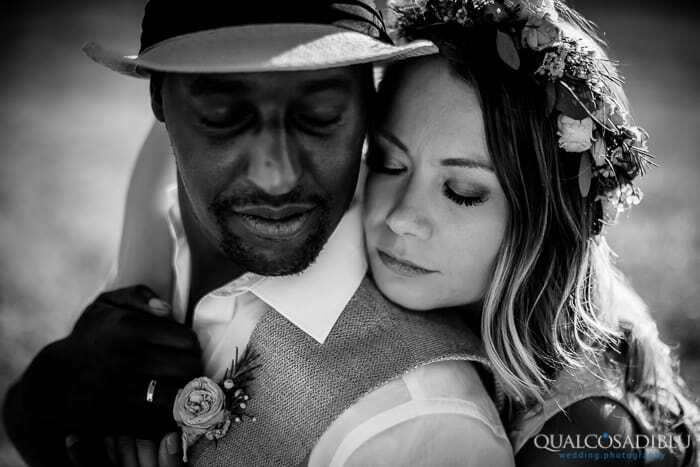 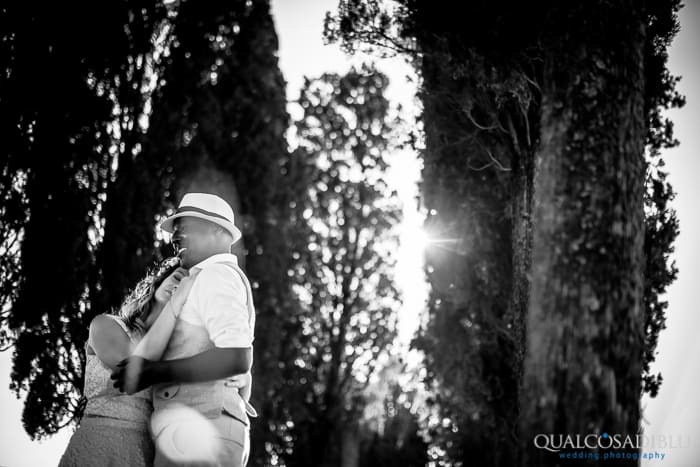 When I think of the word ‘simplicity’, I think of this really special couple, Stephanie & Yan. 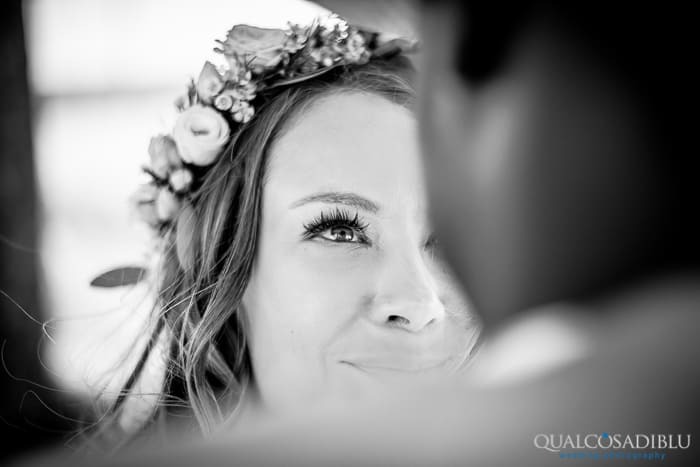 They live in Dubai now but are originally from Germany, and both work in a company that organizes corporate events. 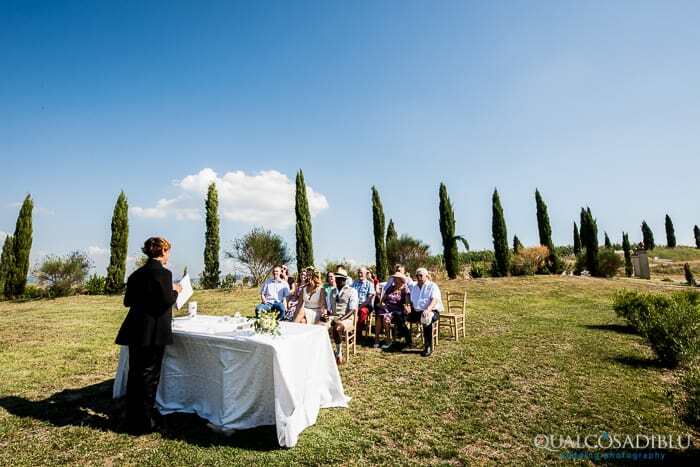 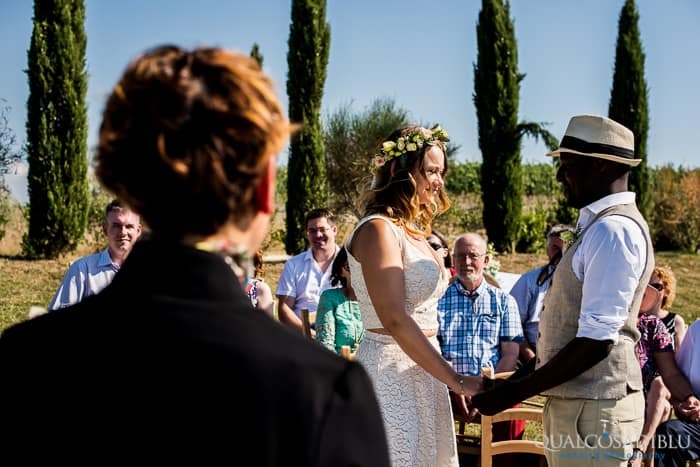 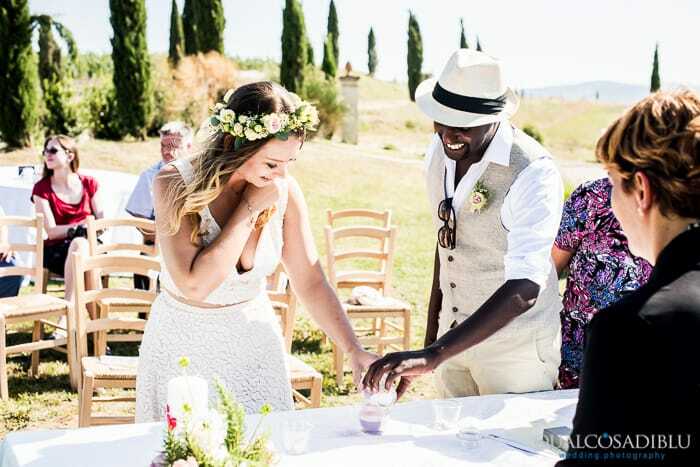 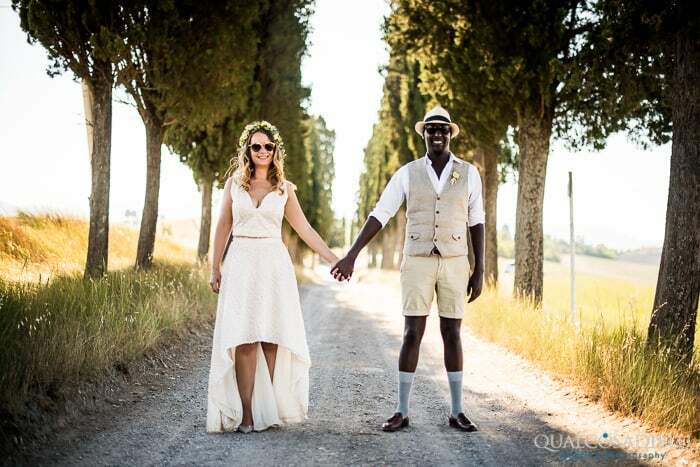 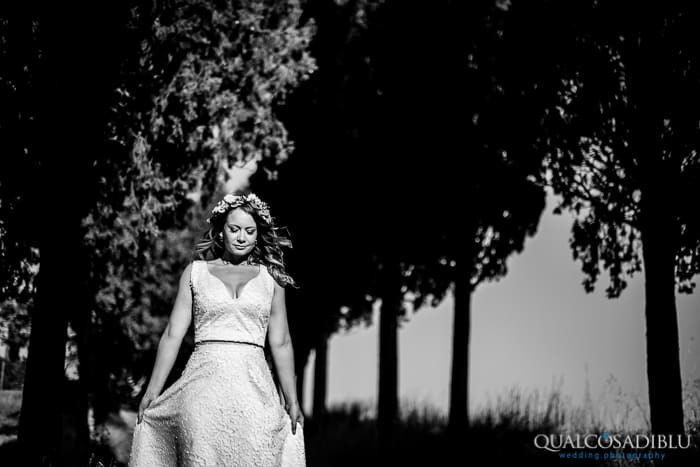 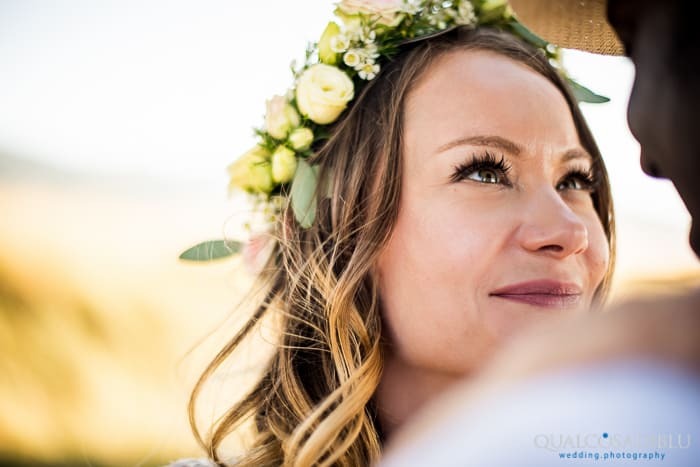 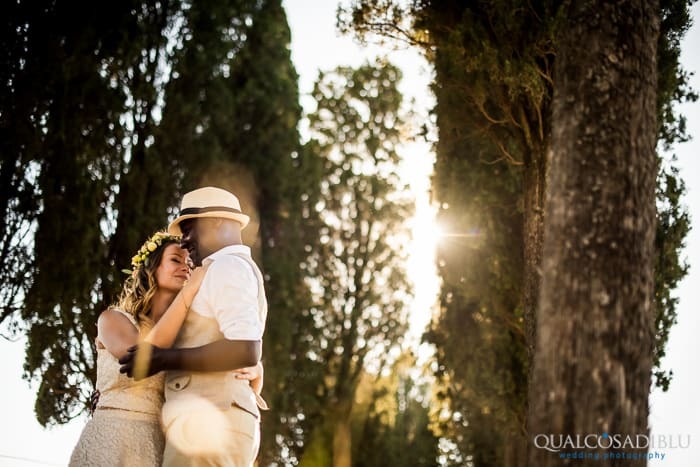 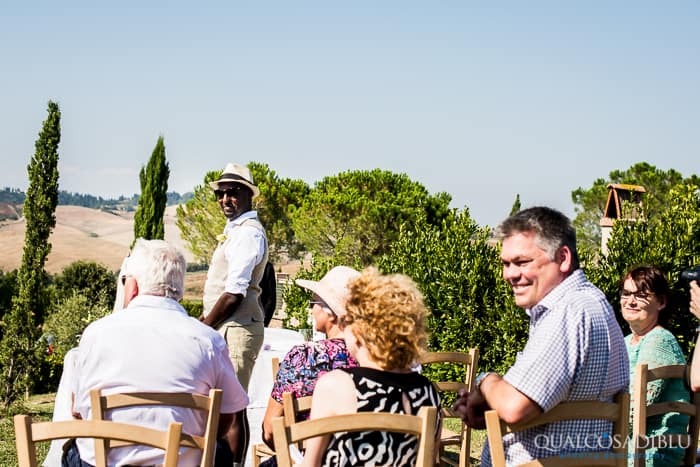 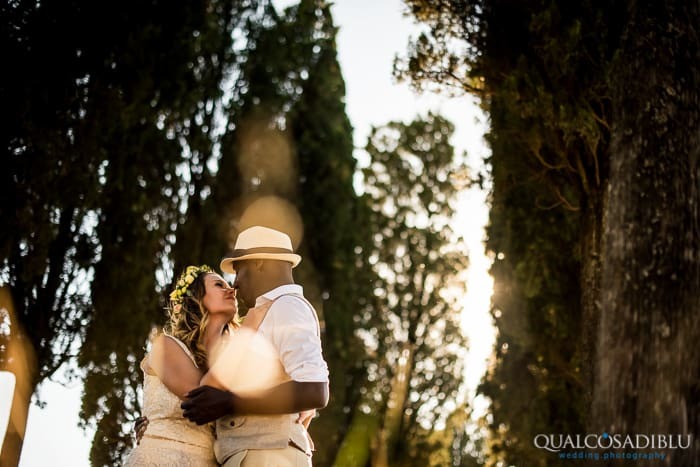 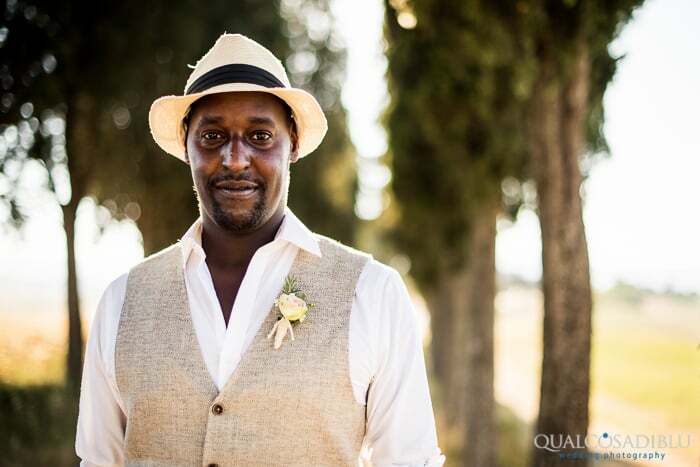 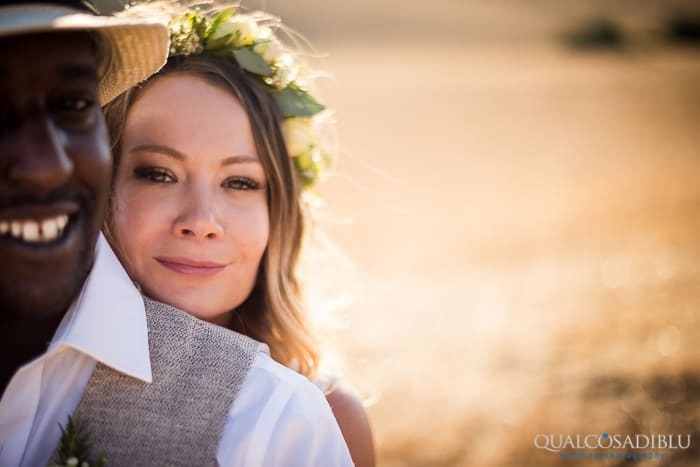 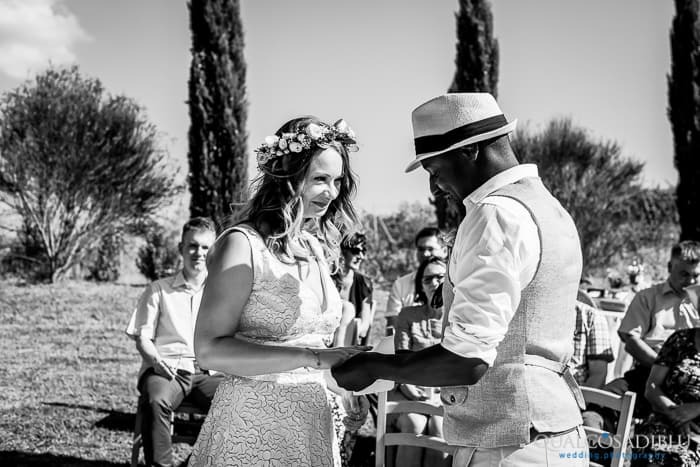 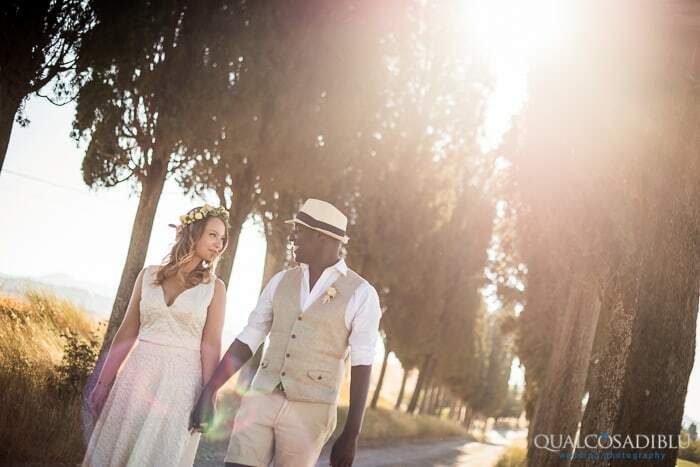 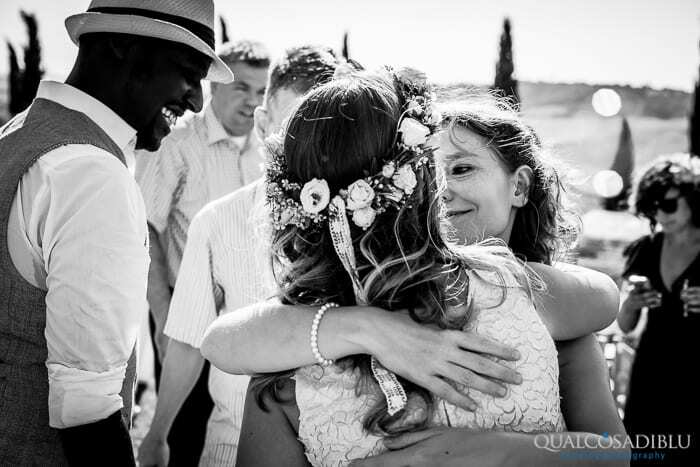 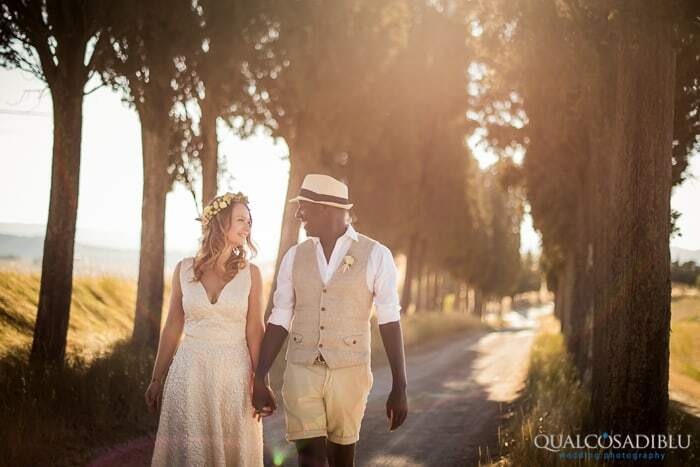 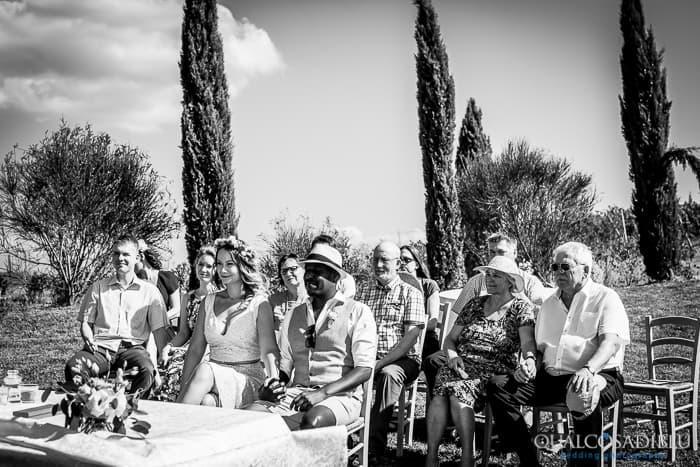 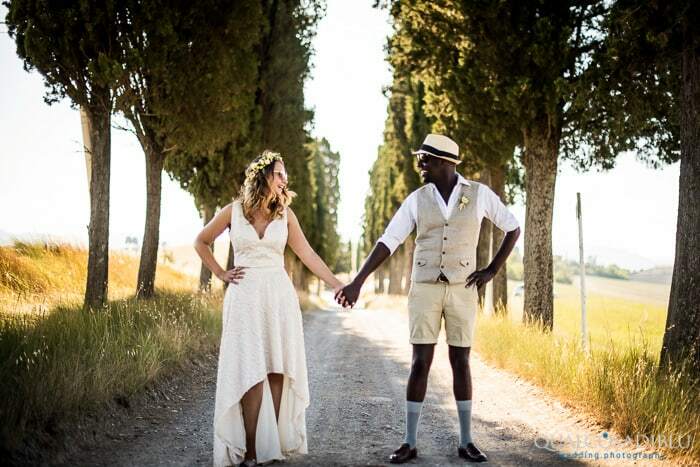 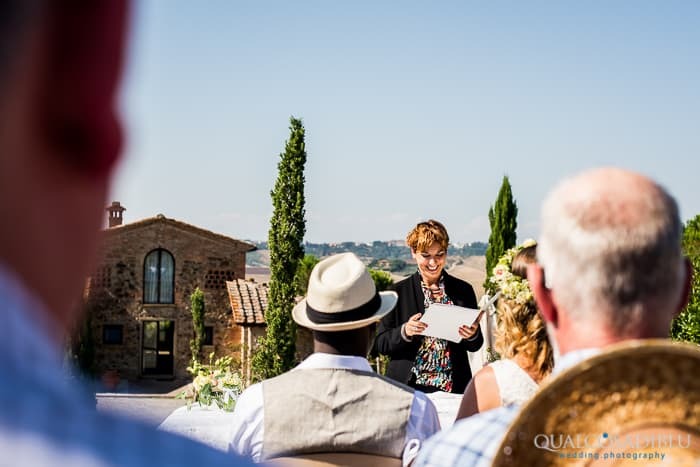 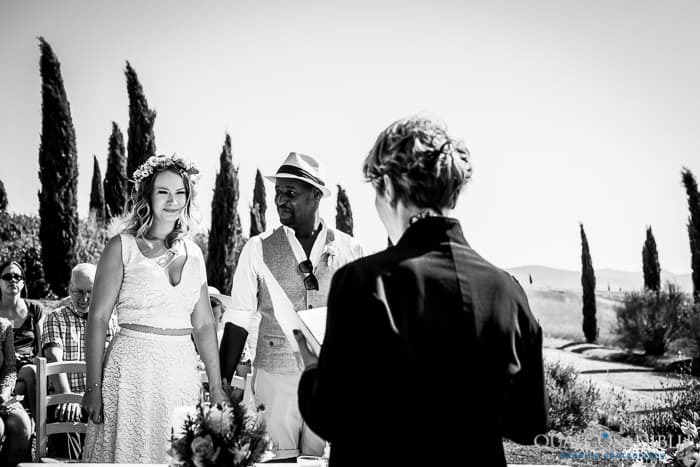 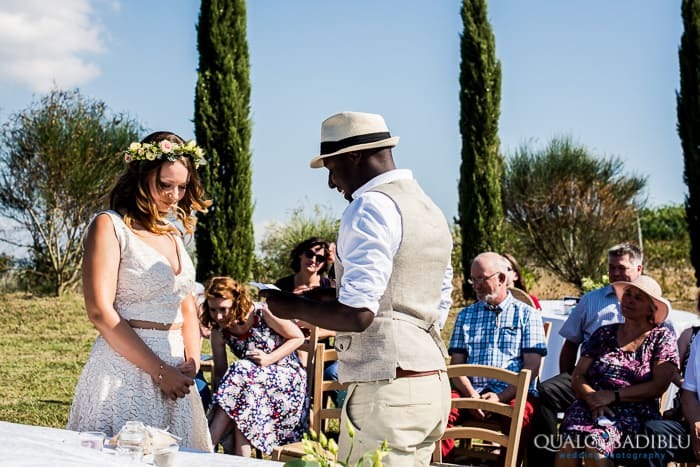 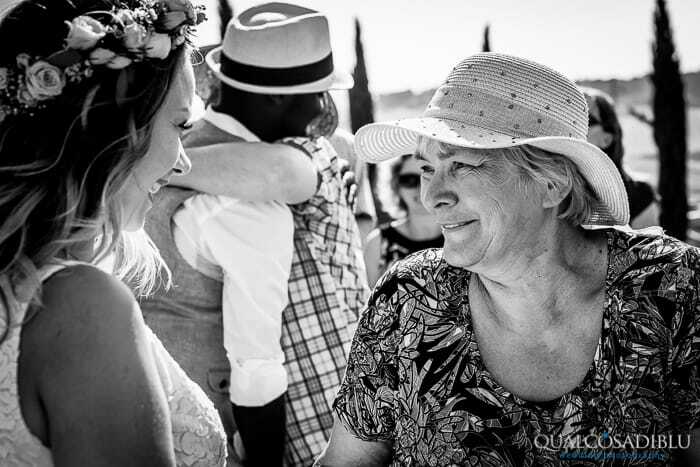 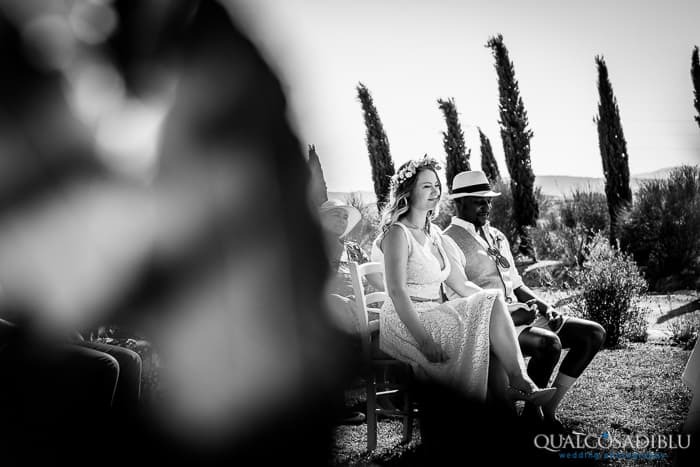 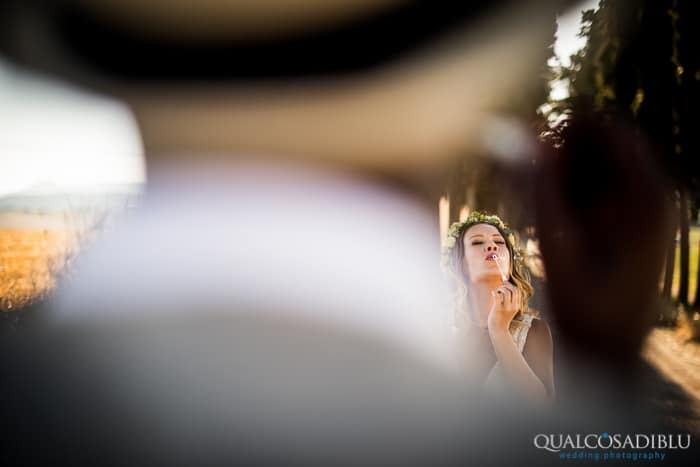 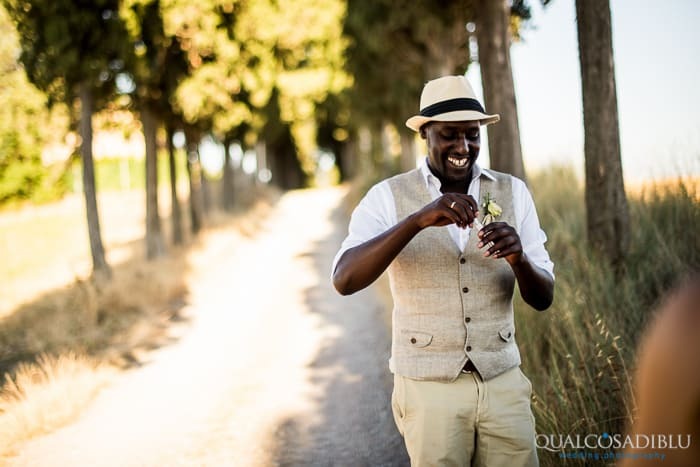 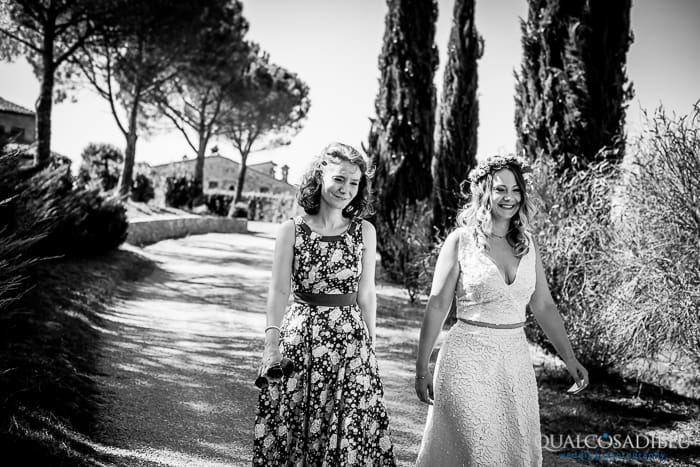 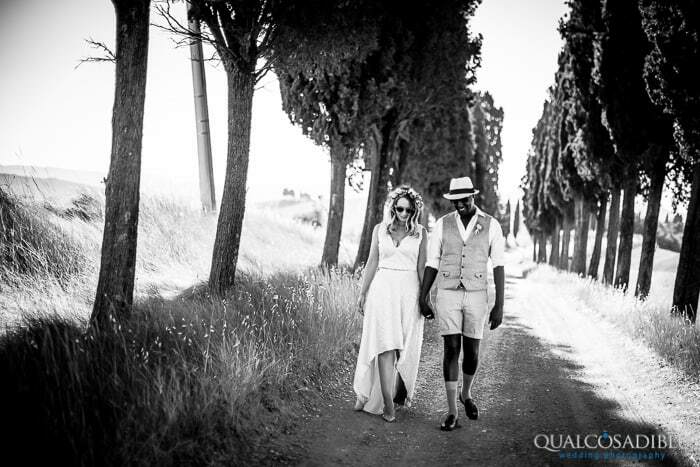 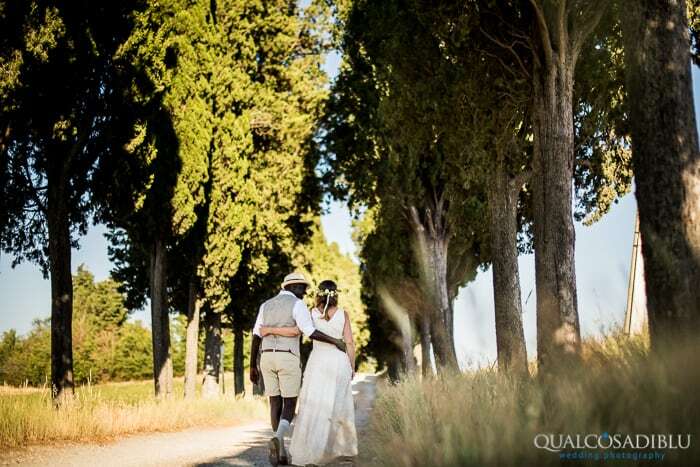 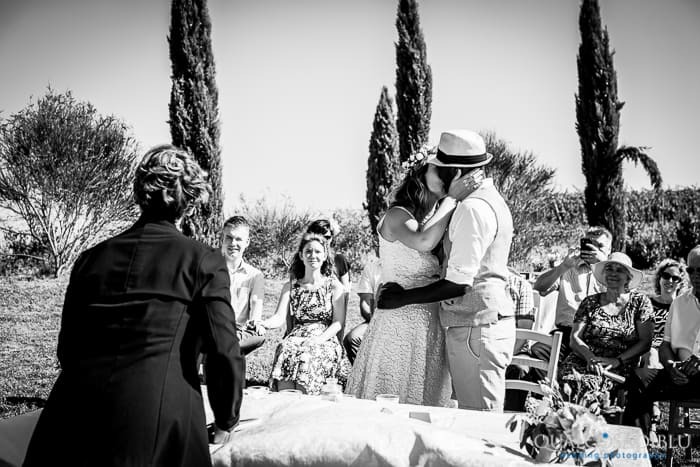 They decided to get married in Tuscany at Lajatico, one of the most beautiful spots in this region with an incredible view. 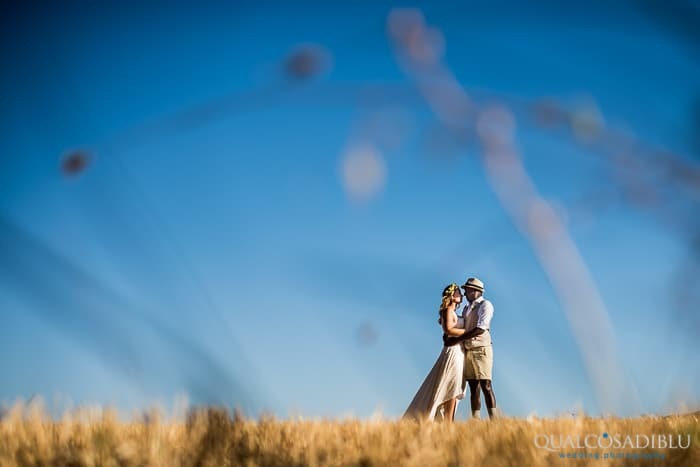 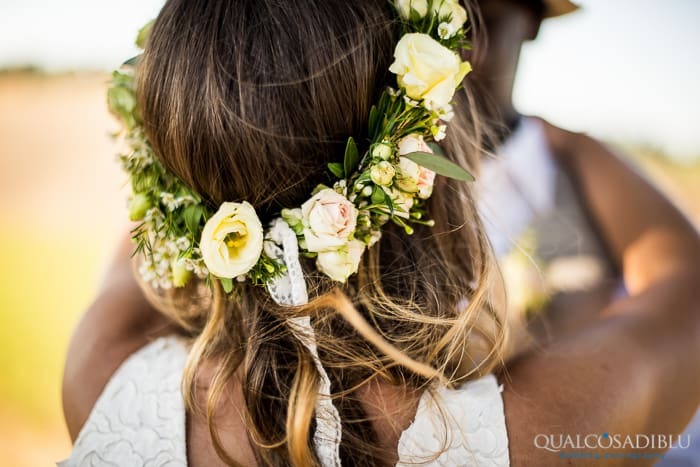 Their intimate wedding in the sand inspired me a lot and—despite being one of the hottest days in July—it was a pleasure to be their wedding photographer. 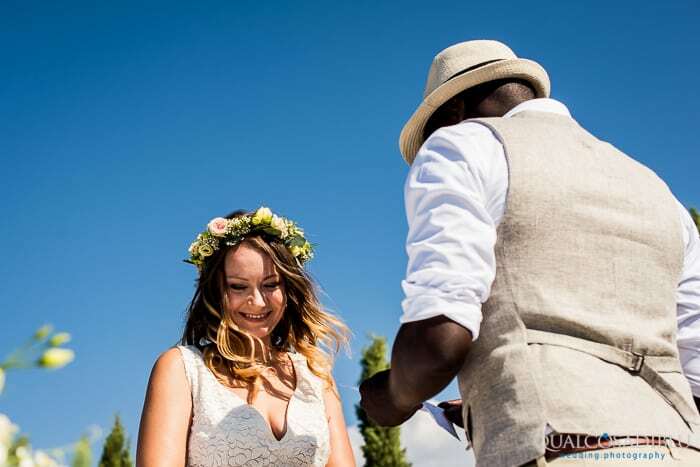 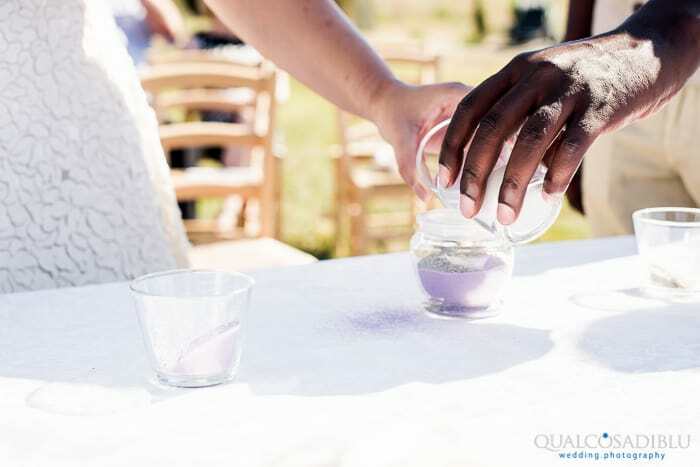 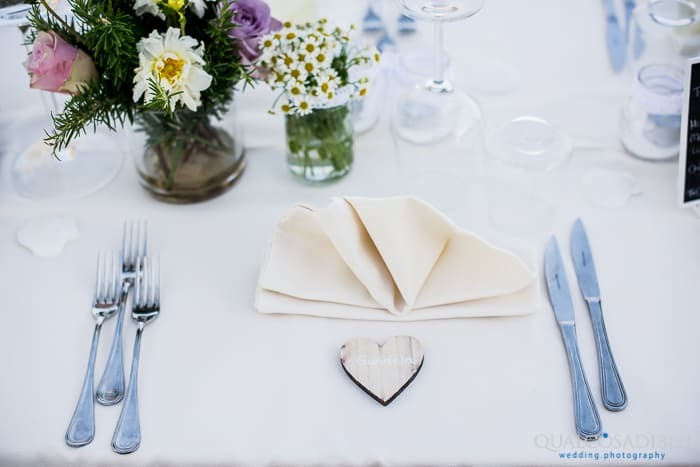 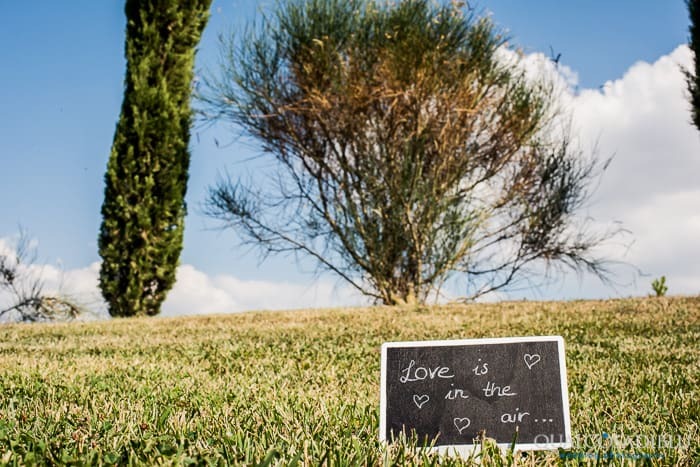 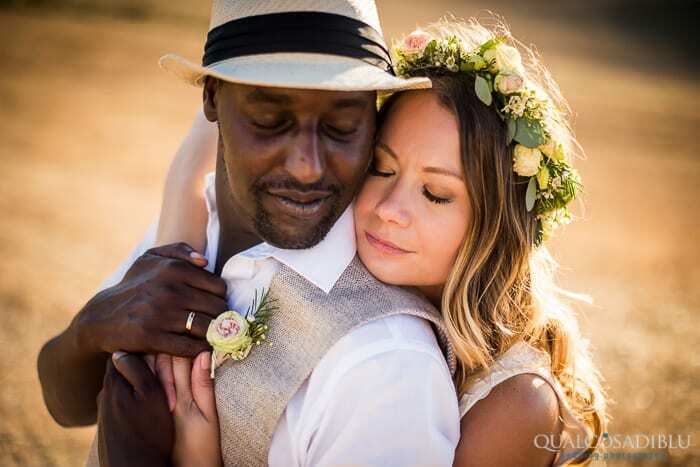 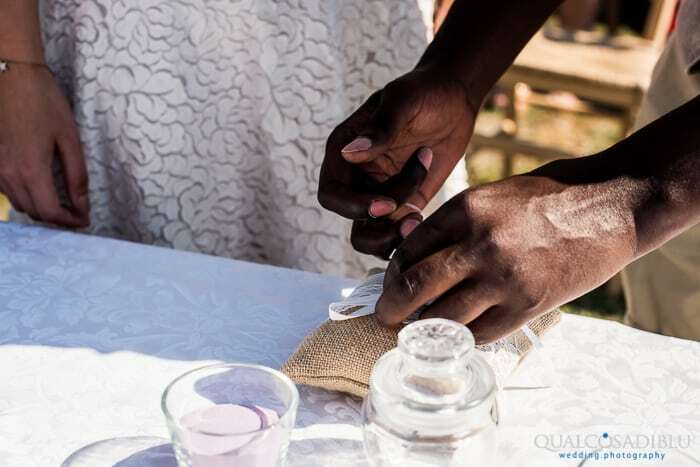 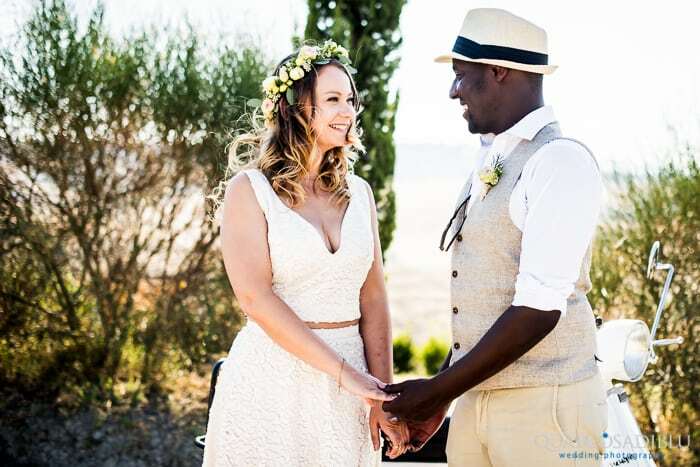 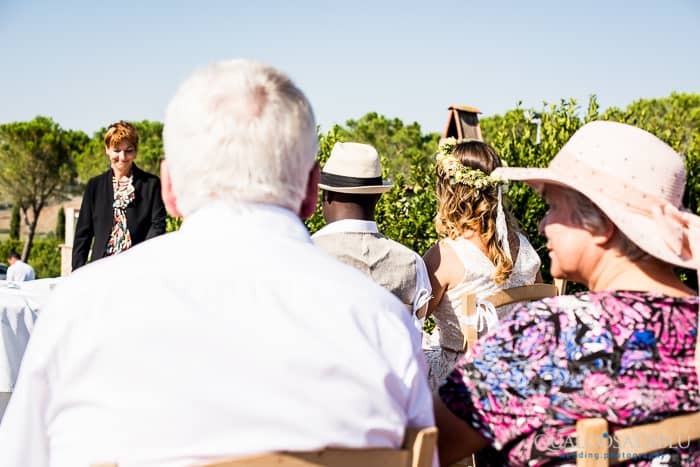 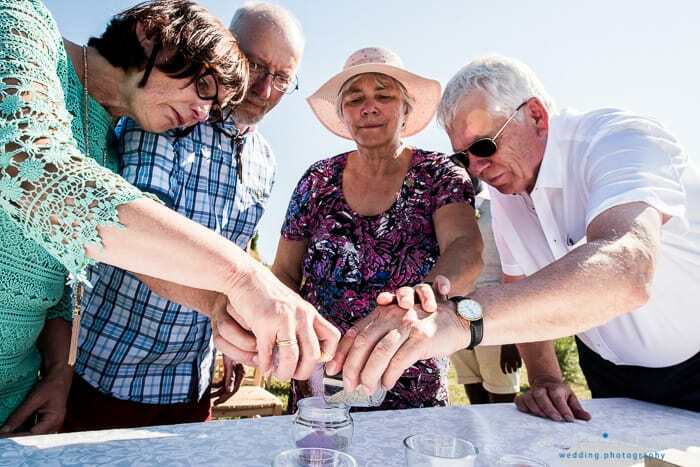 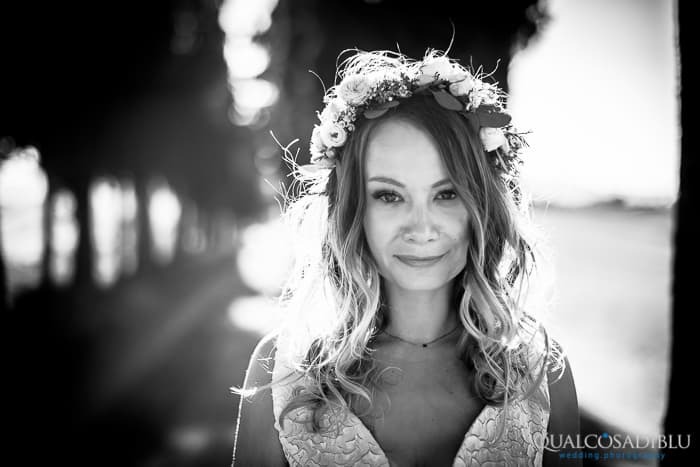 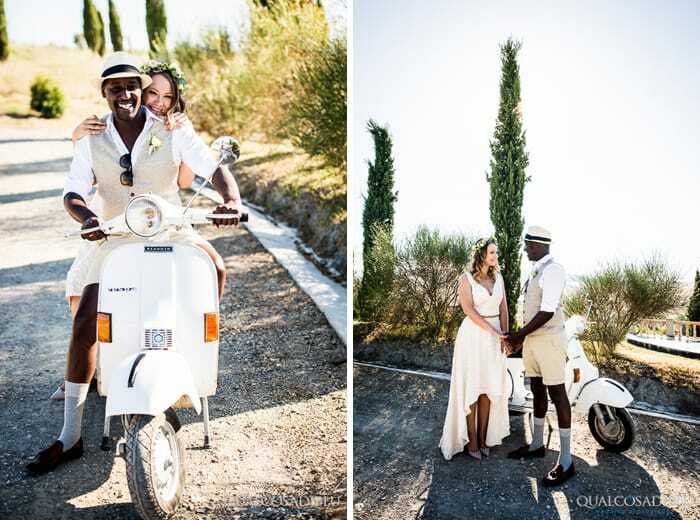 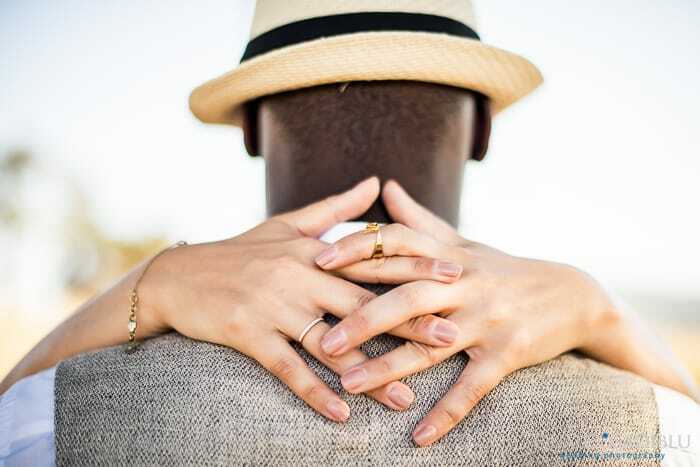 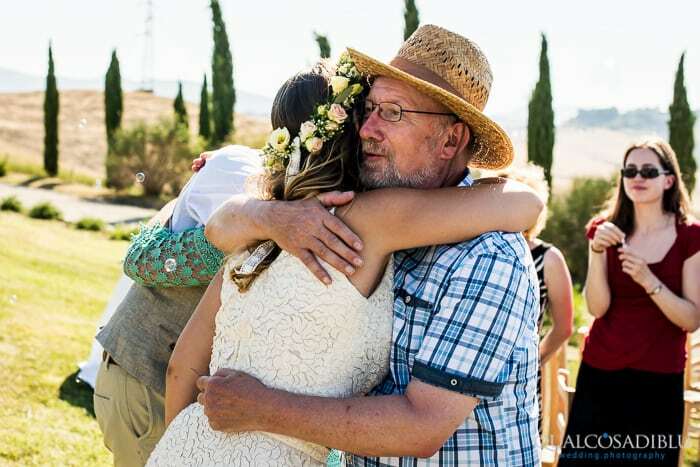 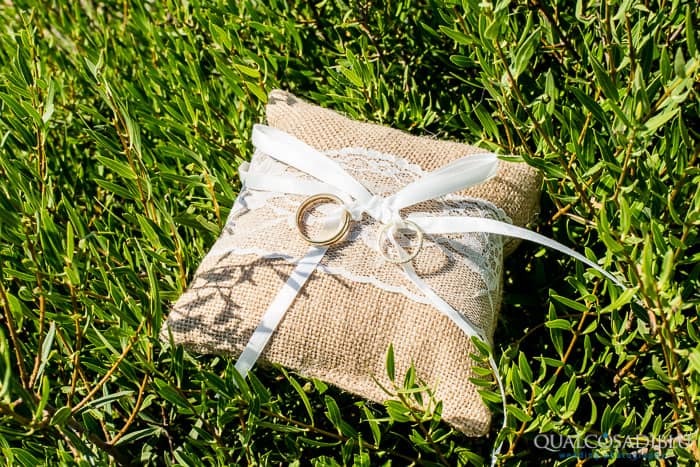 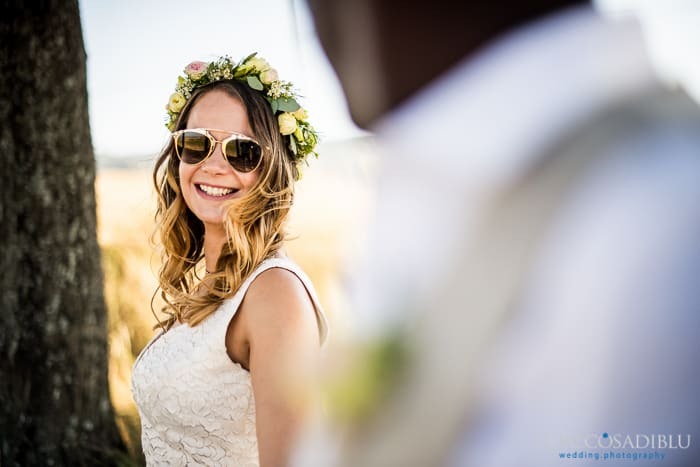 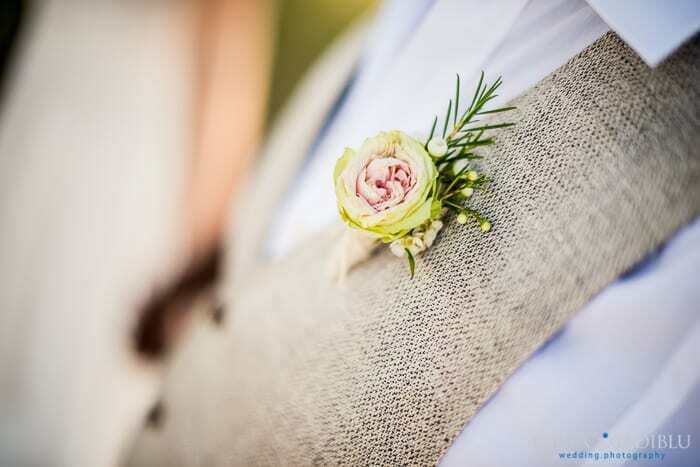 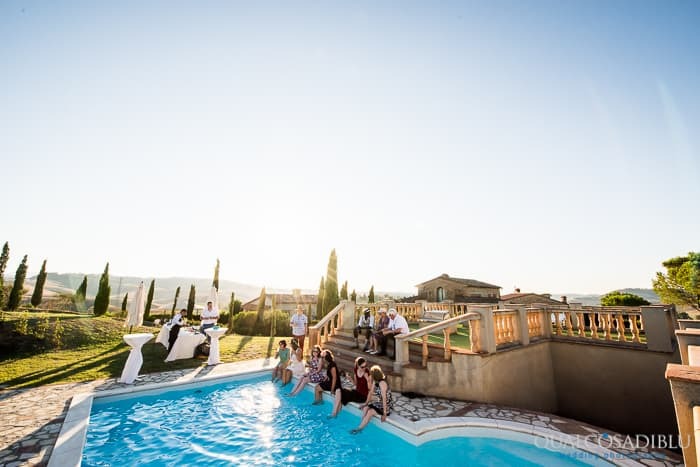 They chose to rent a private villa as their location and the entire wedding was held there, with the exception of some pictures of the couple being taken not far from the wedding site. 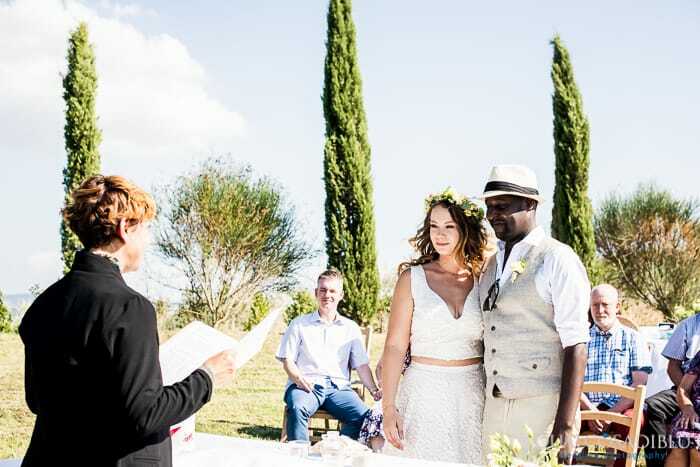 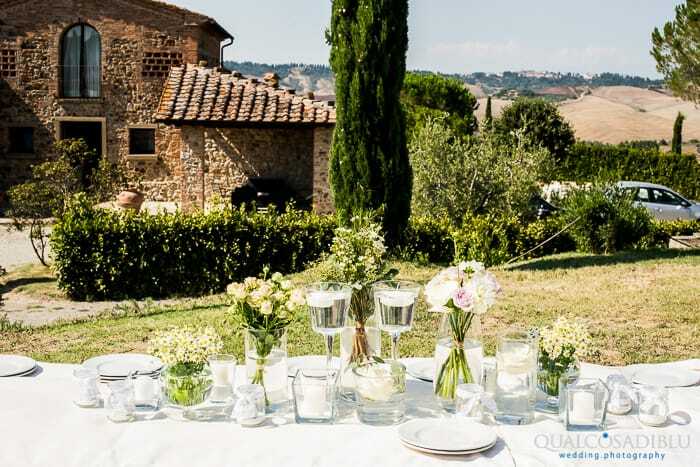 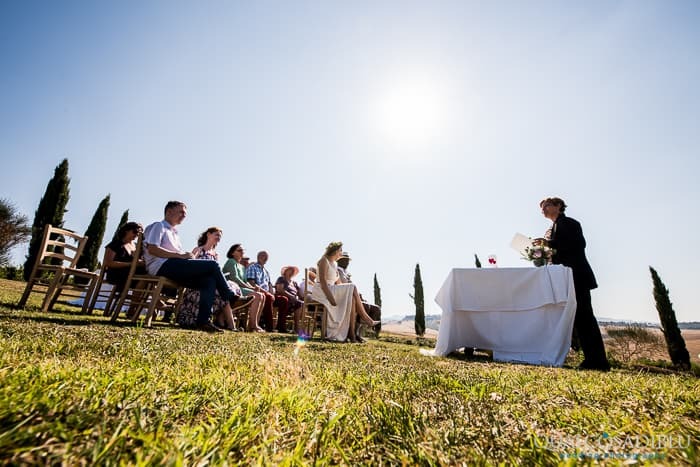 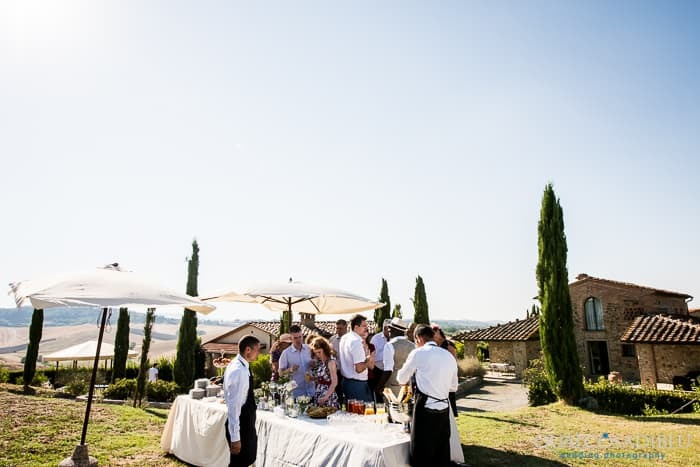 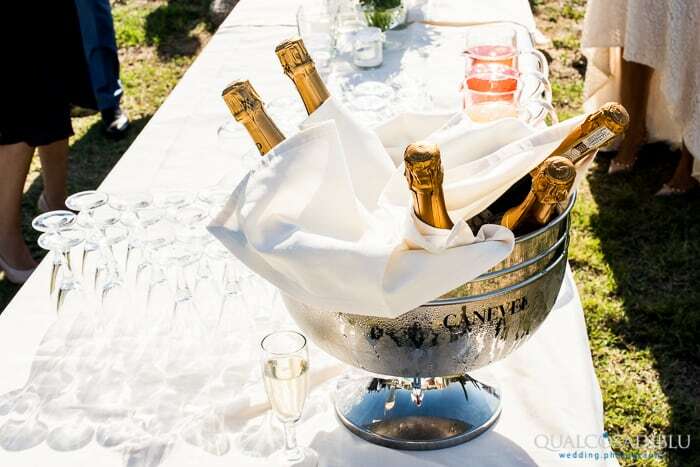 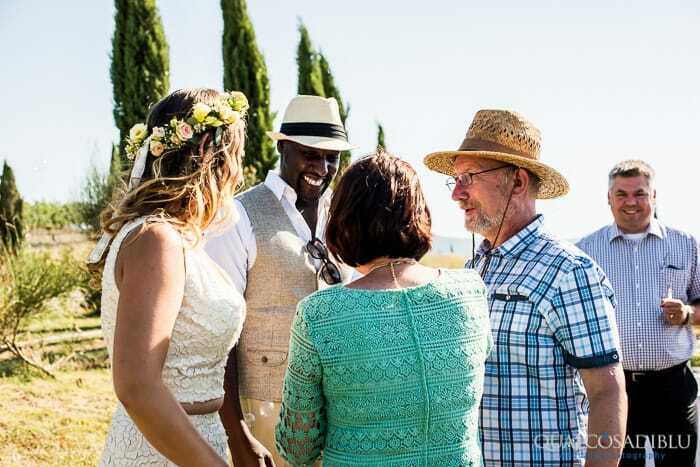 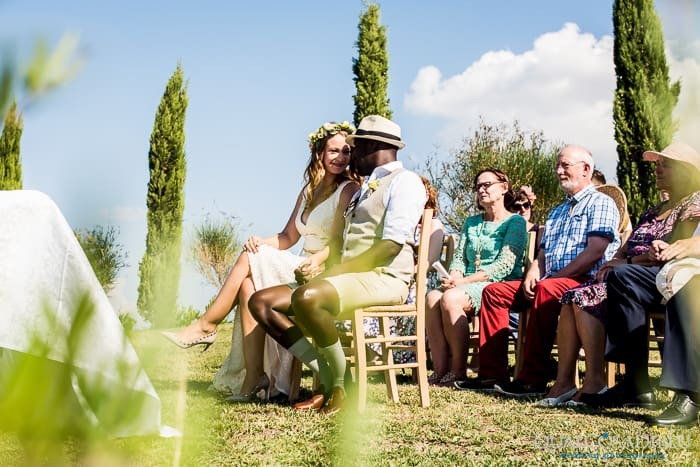 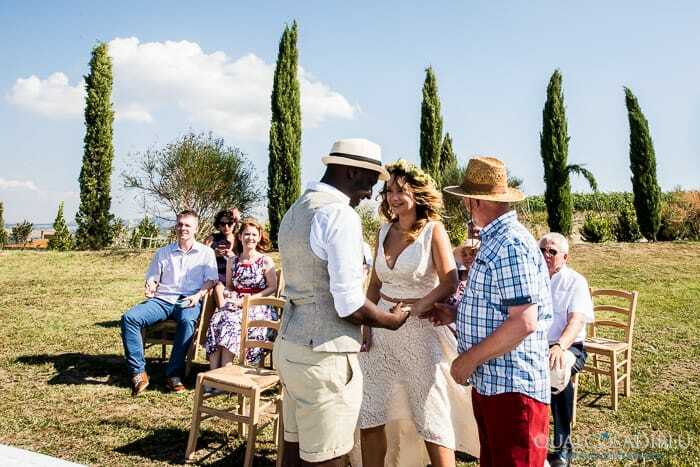 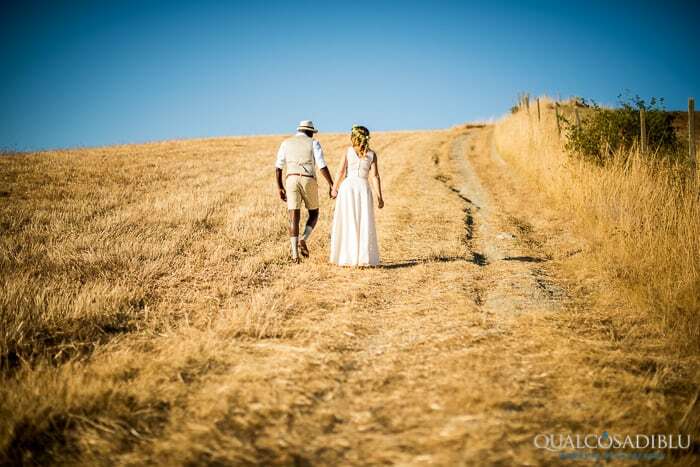 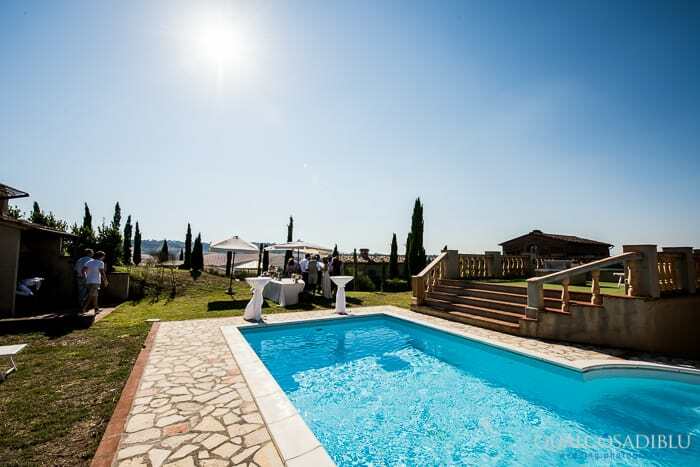 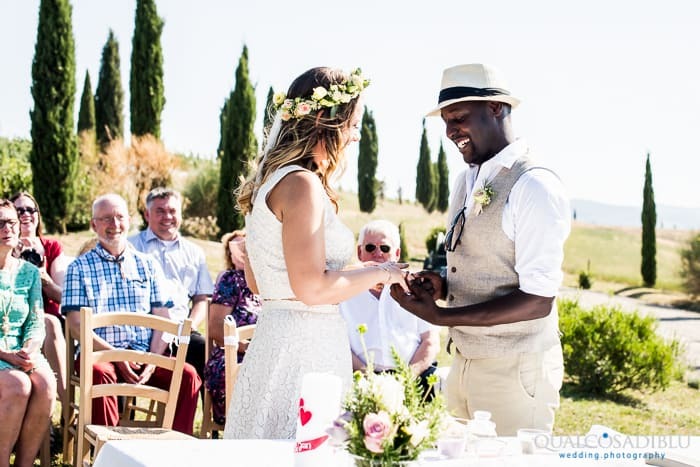 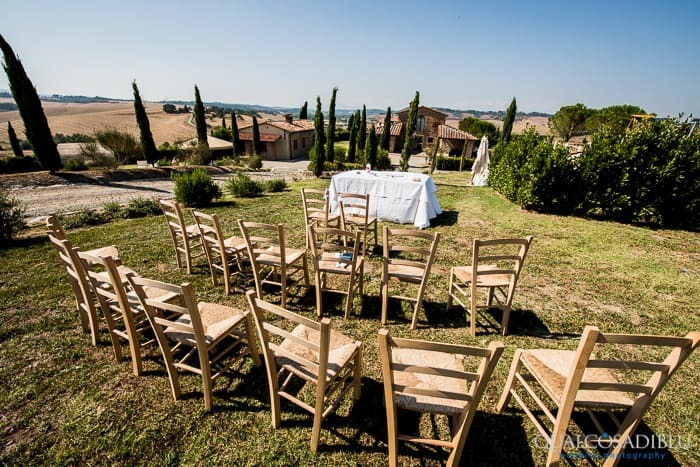 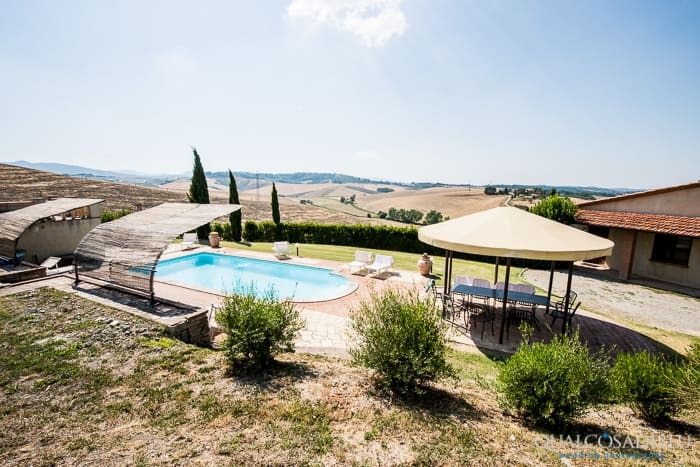 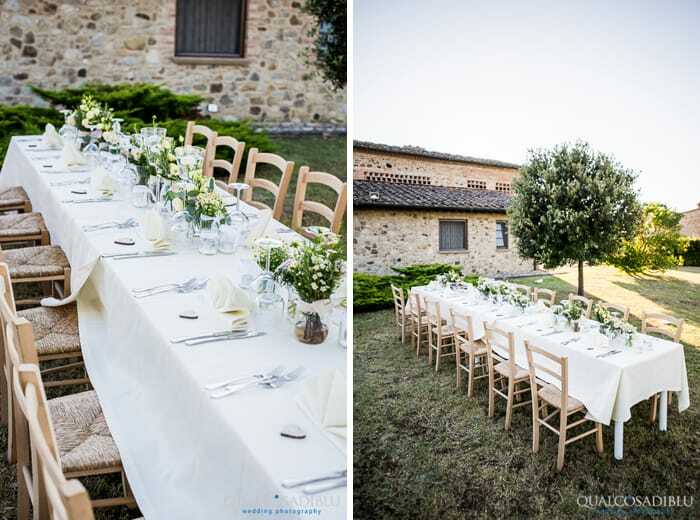 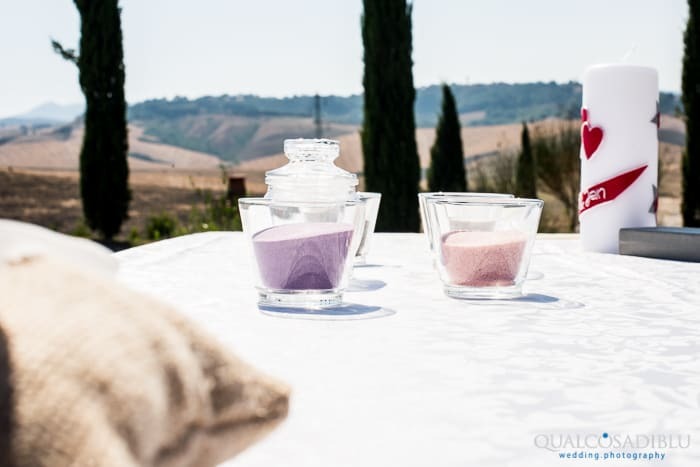 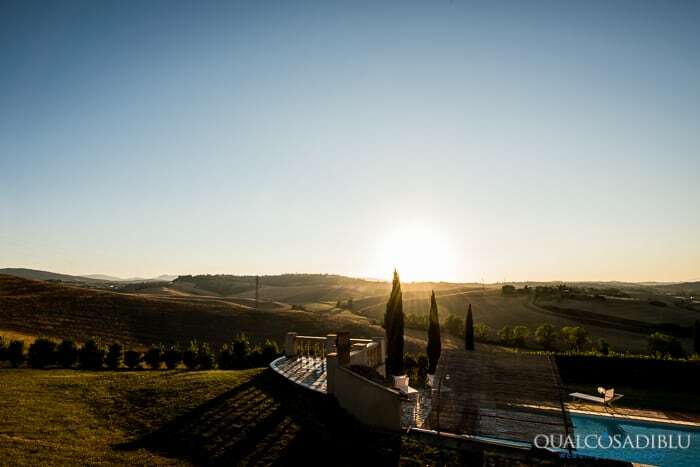 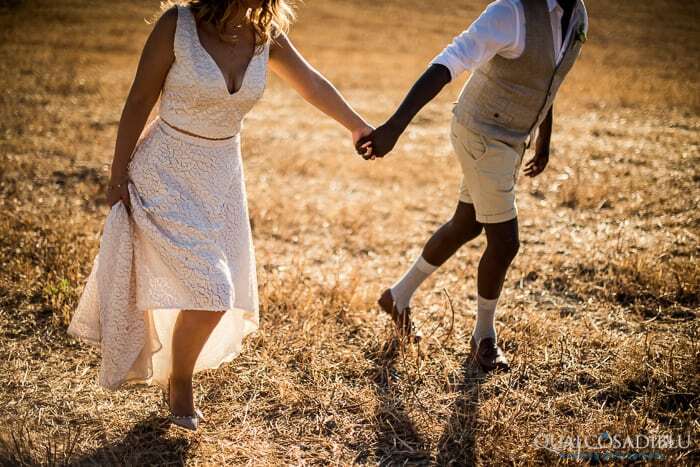 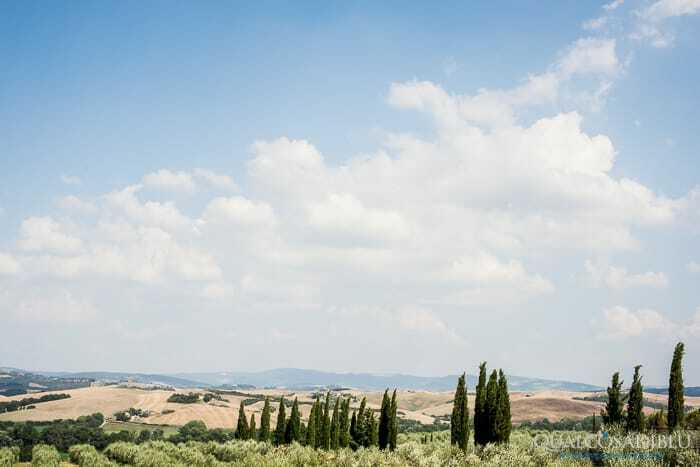 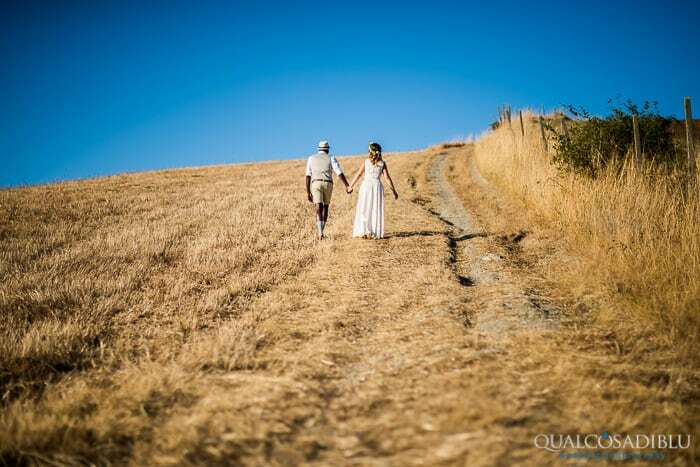 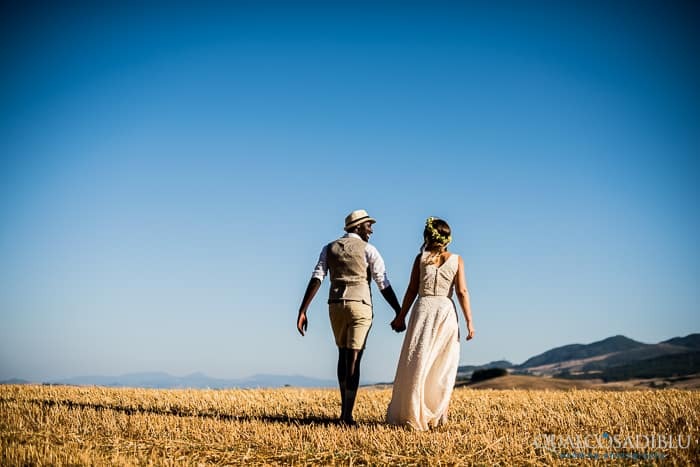 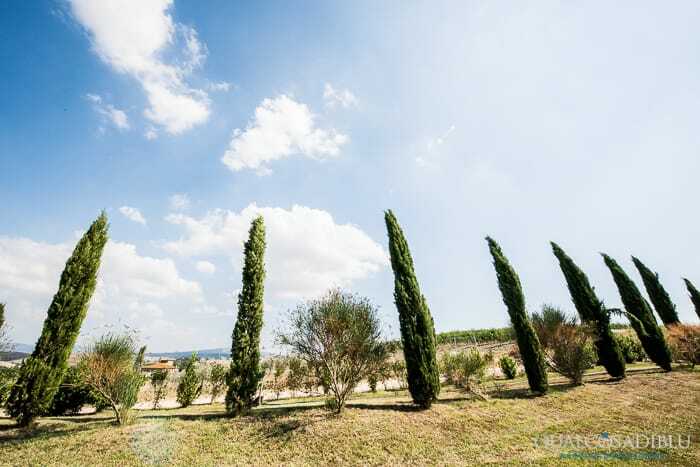 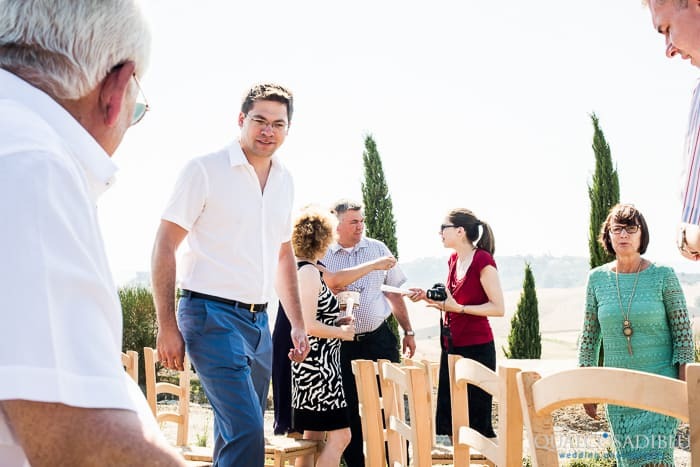 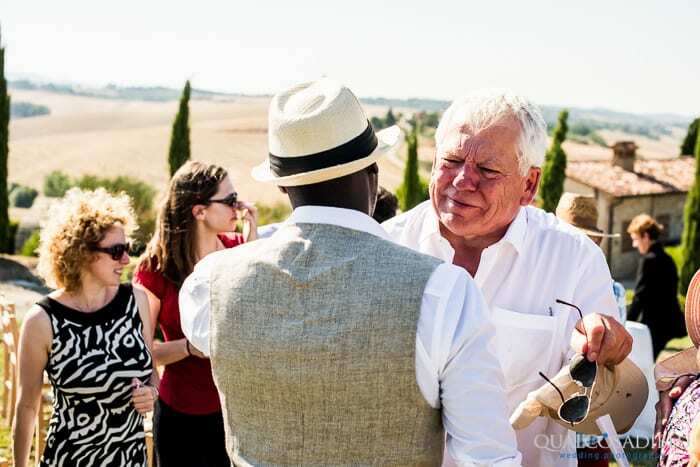 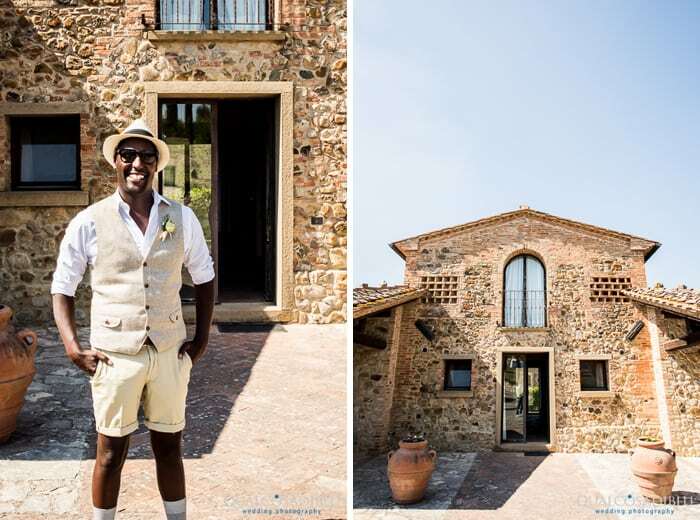 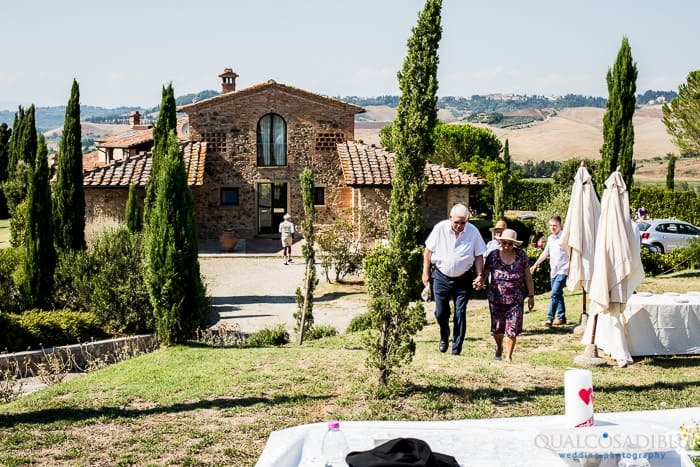 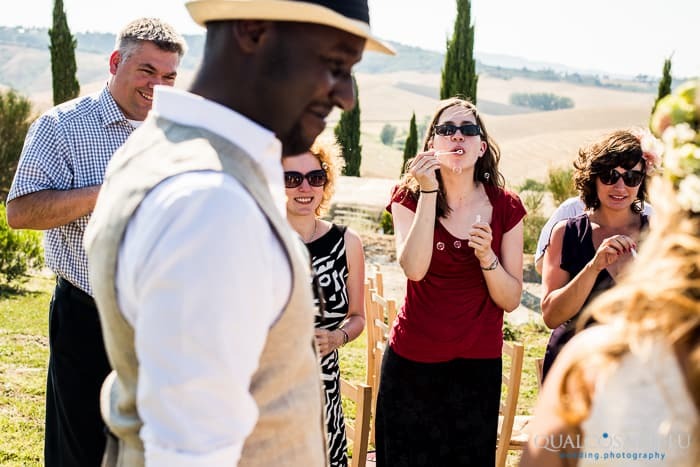 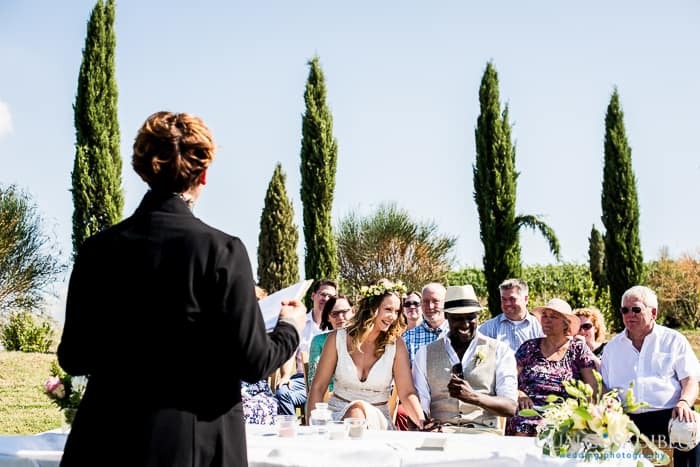 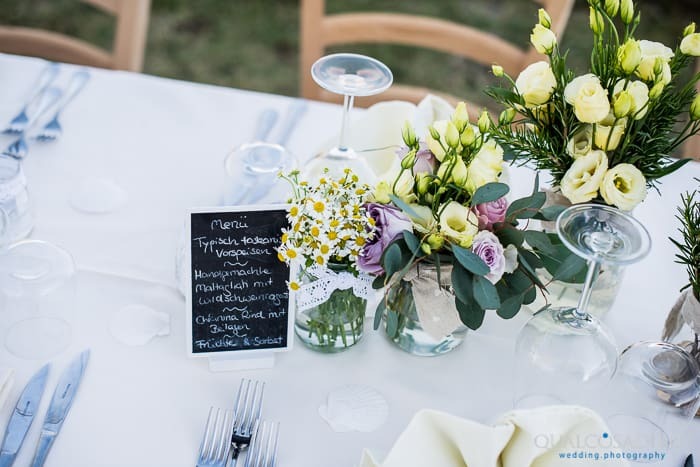 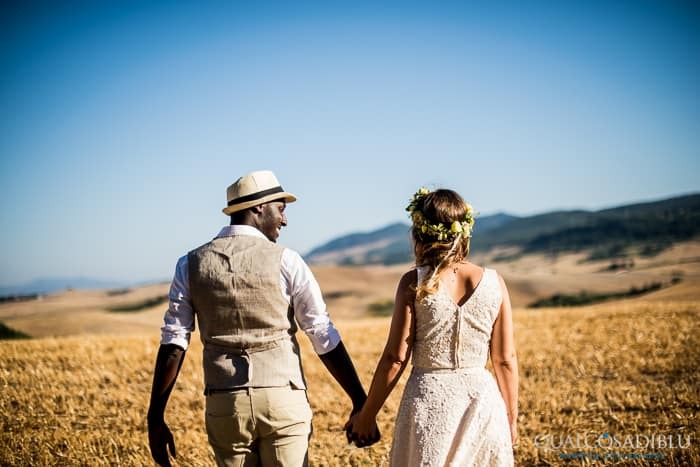 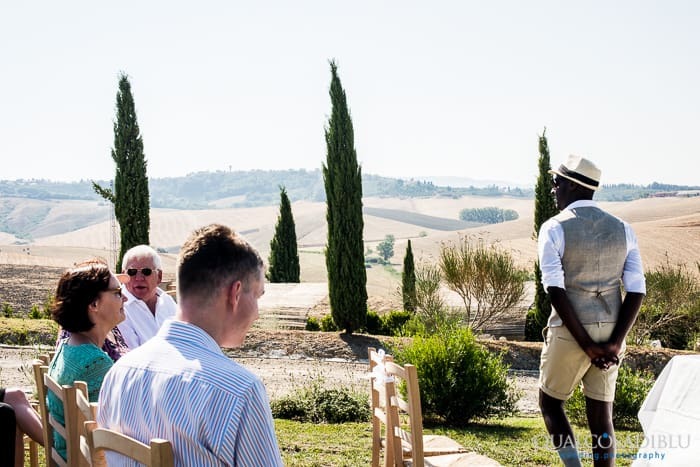 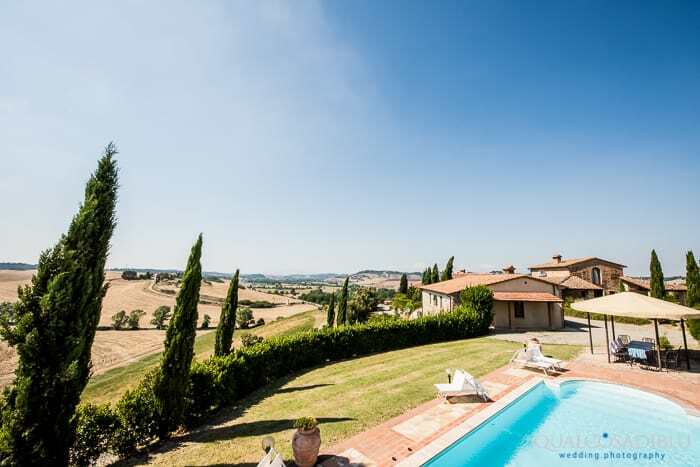 Among other things, the villa they chose is in a fantastic location—in fact, it is only a few hundred meters from the famous Teatro del Silenzio, one of the most enchanting places in Tuscany.